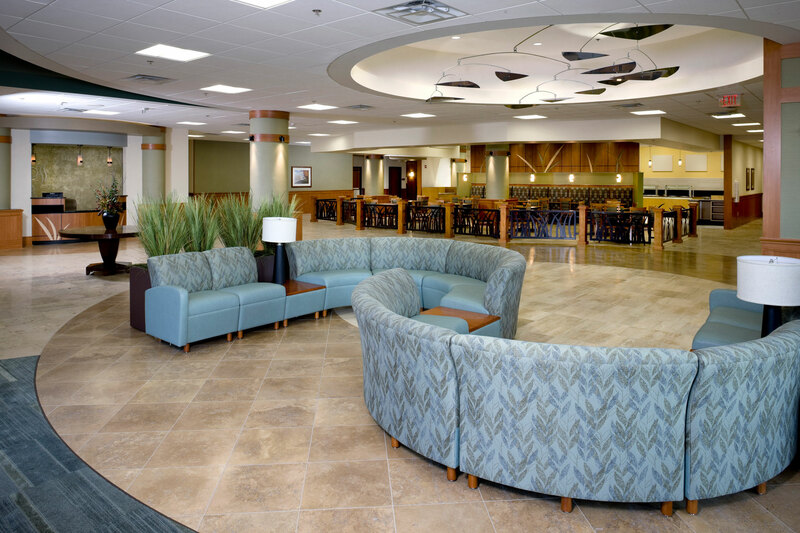 The 70,000 square foot, two-story addition at Orthopedic and Spine Specialists in York, Pennsylvania gave the facility much needed space to continue serving its growing community. 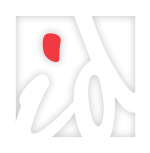 As a rural farming community, the intention was to reflect and interpret the community’s natural resources through simple design elements. 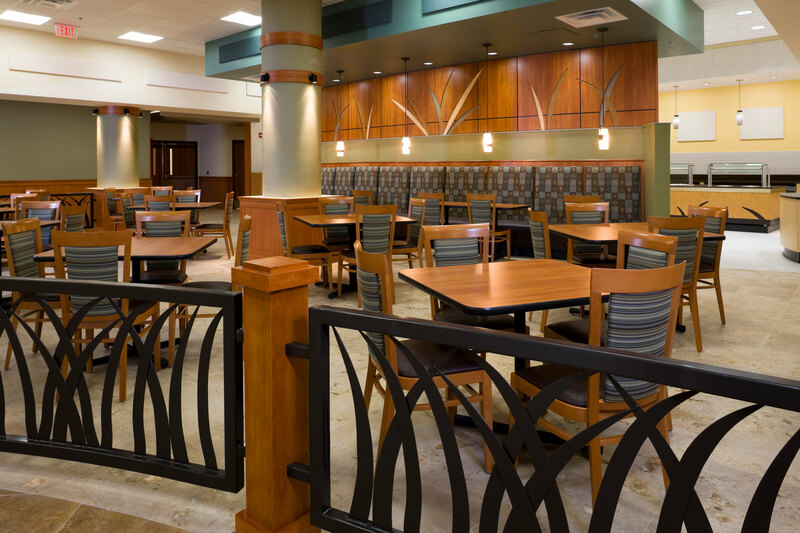 The consistent use of wheat grass—the area’s main farm crop—was used throughout the facility as a wood accent on the reception and nurse’s station desks and was sculpted into the cafeteria’s wood paneling and metal railings. Designers also upholstered lobby area furniture in a patterned fabric complimenting the wheat grass theme. 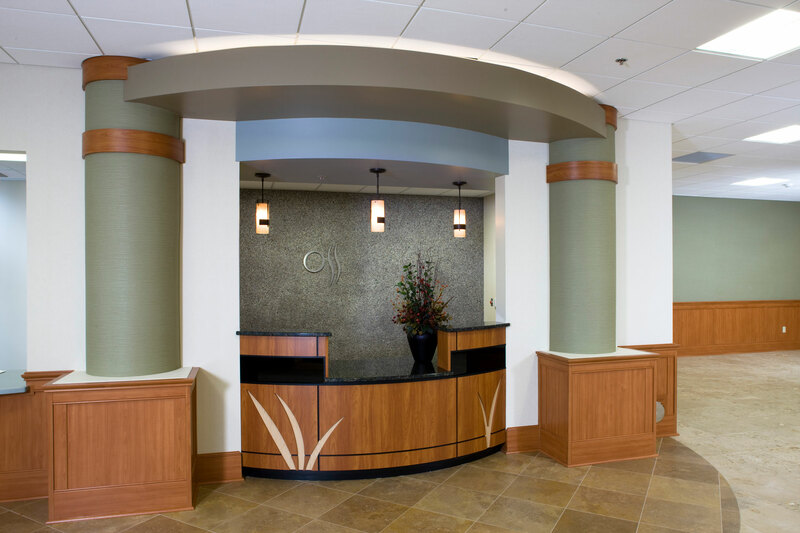 Interpreting the nearby river Susquehanna River, designers used blue green pebble stone to accent walls behind the reception desk and nurse’s stations. The soft blue green color is also used throughout the facility as an accent wall color to create a serene healing environment. 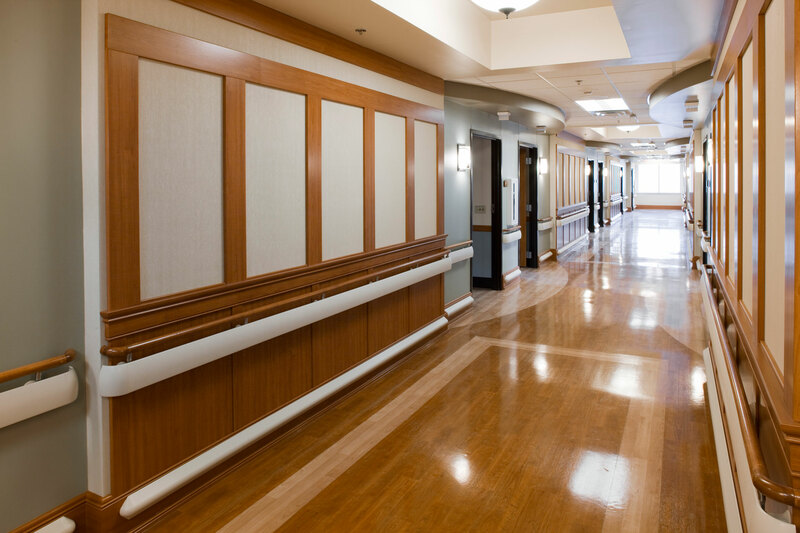 To add simple visual interest, patient corridors were designed in an arts and crafts theme with cherry and maple wood veneered paneling and wall railings. 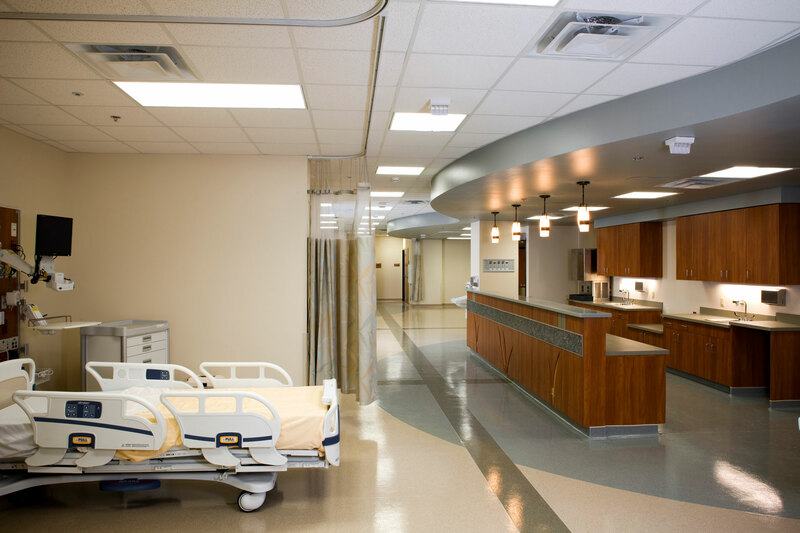 The arts and crafts style is continued throughout the facility’s patient rooms, which reflect an earthy blend of natural colors and materials.